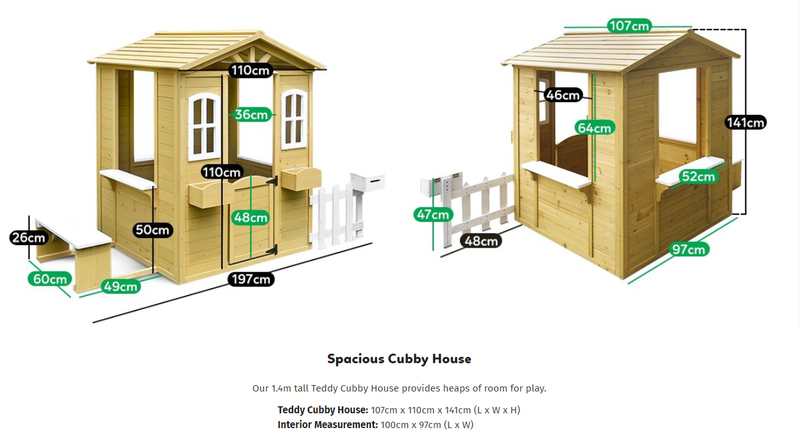 A new cubby house for kids to enjoy is the Lifespan Teddy Cubby House. Kids will surely discover fun either indoors or outdoors with this new Teddy Cubby House. 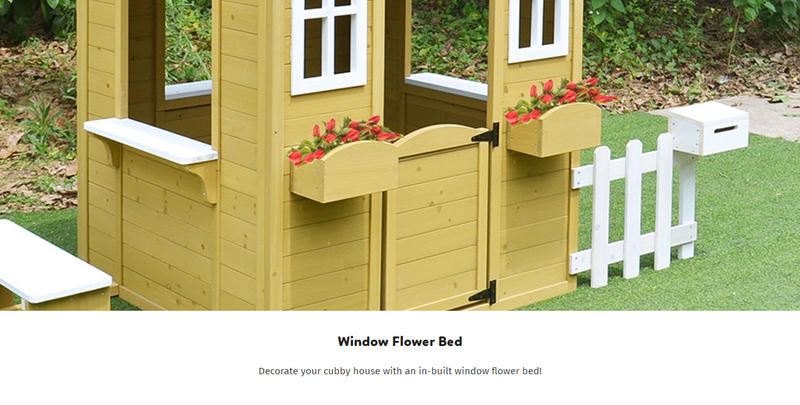 It's a quality timber made play house featuring a snack bench with picket fence, mailbox and planters to add a more realistic fun living in a small house or simply enjoying an afternoon of picnic. Easy assembly and is safe for kids. 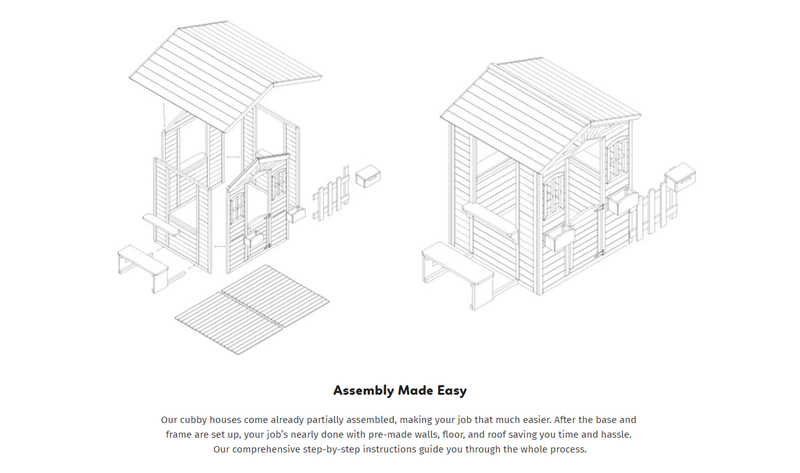 A cubby house for multiple kids to create imaginative and meaningful play. Material Premium Timber. Treated timber for long term protection against rot, fungal decay and insect attack.